When opossums make your home into their den they can be more than just a nuisance. They can spread disease to pets as well as create damage to insulation, foundations, and vapor barriers. They also increase bacteria that can get ventilated into your home. Opossums should be removed when they are found living in a crawl space, but it should only be done by a professional. 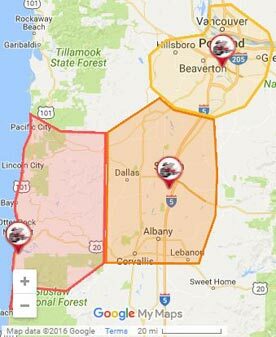 When you call The Killers Crawl Space Restoration you get the specialists in opossum crawl space damage repair in Portland and the surrounding areas. Our professionals will remove the opossum and fortify the crawl space so others cannot take up residence there. They clean and repair all damage done to your crawl space, making it safe and free of opossum hazards. Opossums do not make their own den, but rather find spaces that fit their needs and hunker down. When they get into a crawl space they not only tear up the insulation, they can also chew into the foundation of your home. They can create holes all the way through your flooring, which then opens your home to drafts and heat loss—not to mention an entrance for rats, mice, and insects to get in. Additionally, opossums will urinate and defecate in the crawl space, leaving an opportune environment for bacteria. Occasionally an opossum will even die under your home, further increasing the bacteria. This bacteria can get into your home and present a health hazard. The terrible smell these critter leave behind will also make its way into your Portland home. As carriers of fleas and ticks, these animals can creates a den of unwelcome insects as well. There are all reasons why you do not want to let opossums make a home out of your crawl space. Contact us right away for possum crawl space damage repair. We know how to handle professional opossum removal in Portland as well as repair the damage they have done. When you call The Killers Crawl Space Restoration you are getting over two decades of experience and knowhow. After a detailed inspection we determine the extent of the damage. We remove the opossum, assess all opossum crawl space damage, and restore your crawl space to is like-new condition. We will remove all the damaged insulation as well as the vapor barrier if needed. All areas where urine or feces have been absorbed into the foundation will be thoroughly treated and possibly replaced. 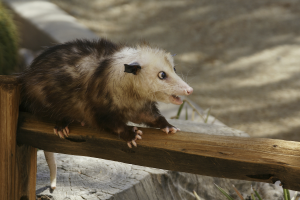 We reconstruct any areas of foundation that have been damaged by an opossum or other animal. Our trained technicians meticulously clean the opossum crawl space damage, repairing it to a safe area. They eliminate all odor and bacteria, install new insulation, and repair any damage that allows future entry into the crawl space. When you call The Killers Crawl space for your opossum crawl space damage repair in Portland we will return your crawl space to its original, safe, clean, weather-tight area.